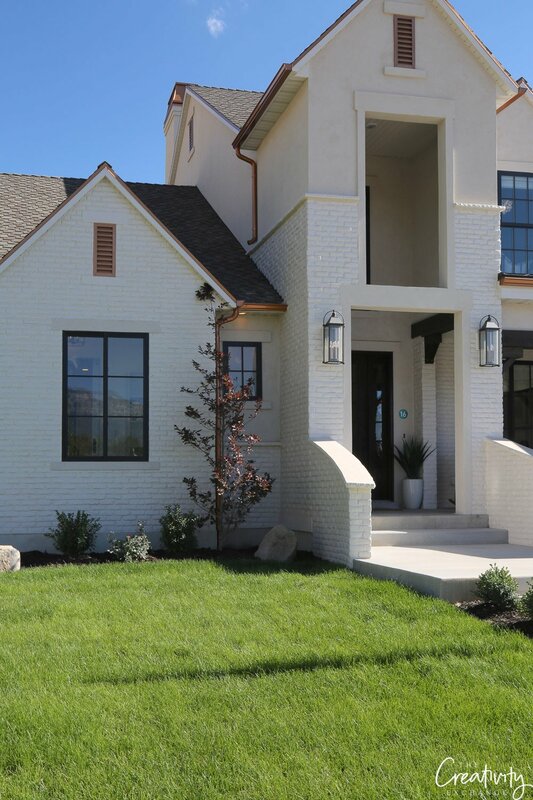 Last week, I shared “Part 1” recap of the Utah Valley Parade of Homes that I toured a couple weeks ago. I took so many pictures and visited with so many amazing builders/designers that I needed to do a Part 2. 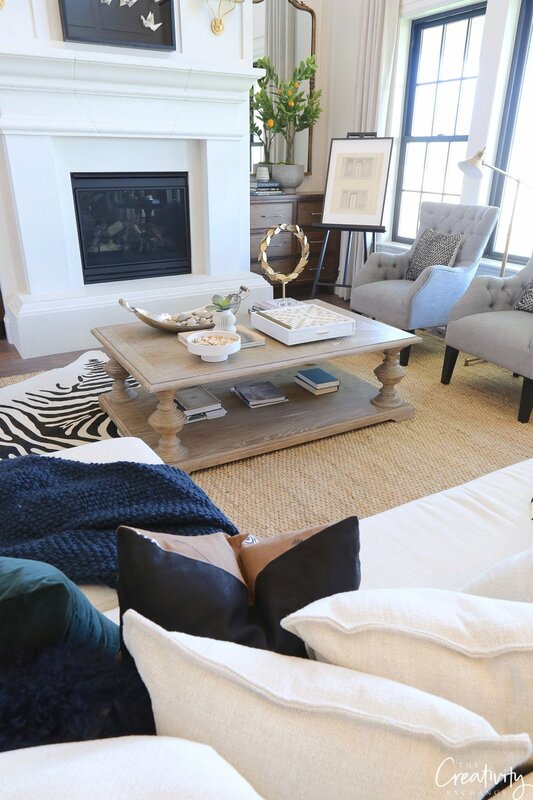 There was SO many incredible homes, design ideas and inspiration that I can’t wait for you guys to see! 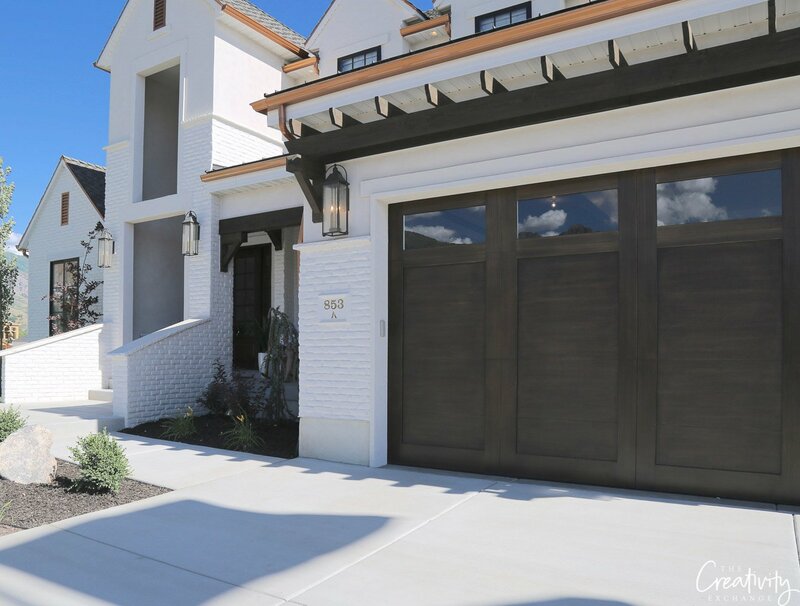 The next home that I toured and loved was located in the Pleasant Grove area designed by Brandalyn Dennis and built by Arive Homes. 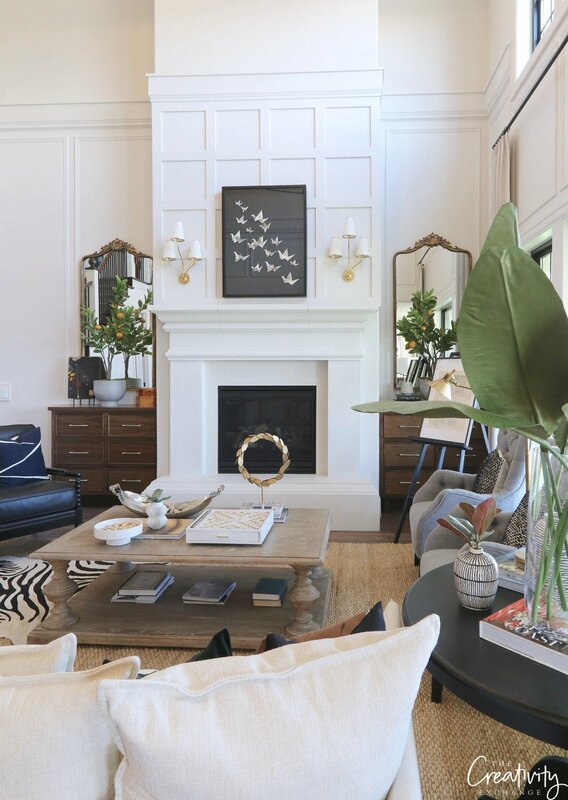 This home was so interesting and beautiful! 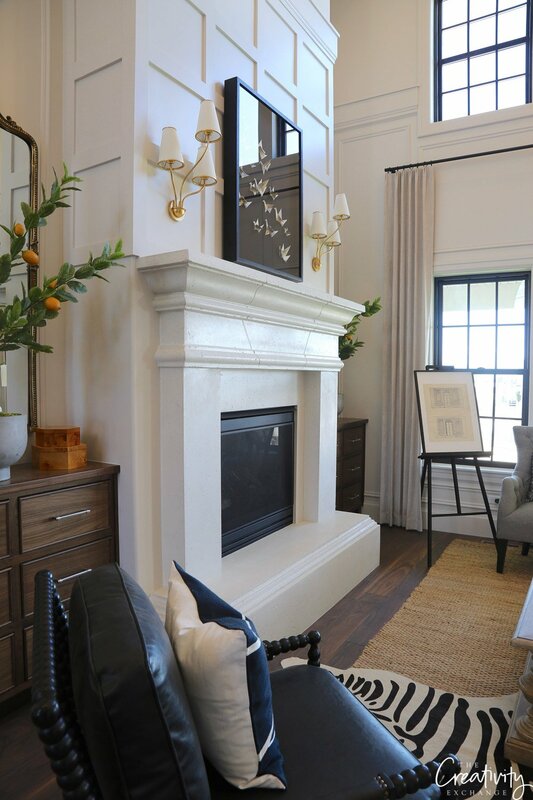 The interior/exterior details and design work throughout the home was exceptional! 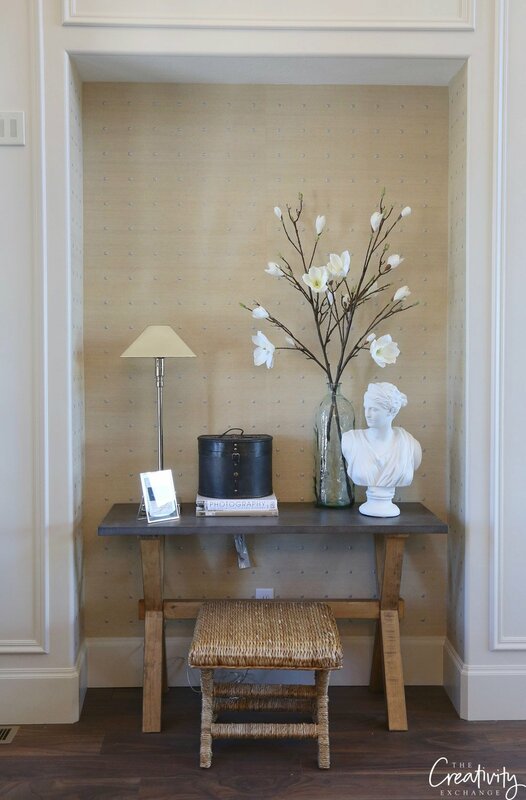 One of the smartest ideas I saw in this home was how they incorporated an alcove area in the entryway for an entryway console table. 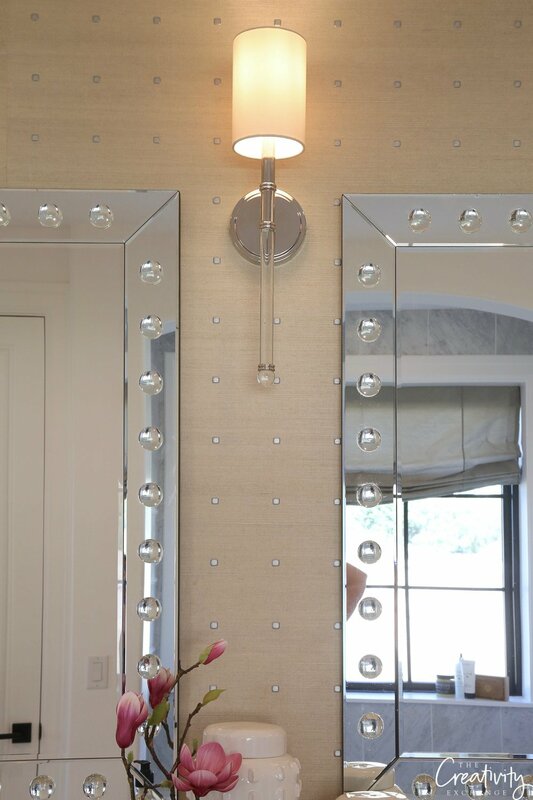 If I ever build a home, I will do this because it gives the entryway additional room. So smart! 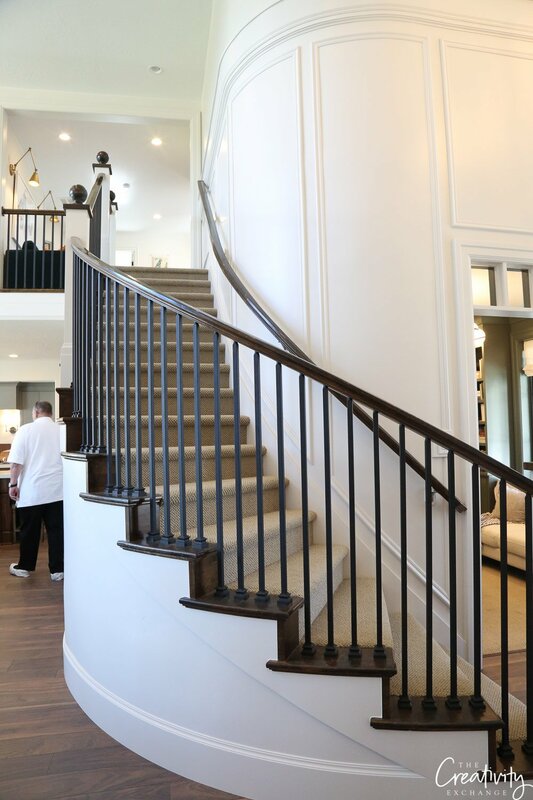 The rounded staircase to the right of the entry was absolutely stunning and also beautifully designed. 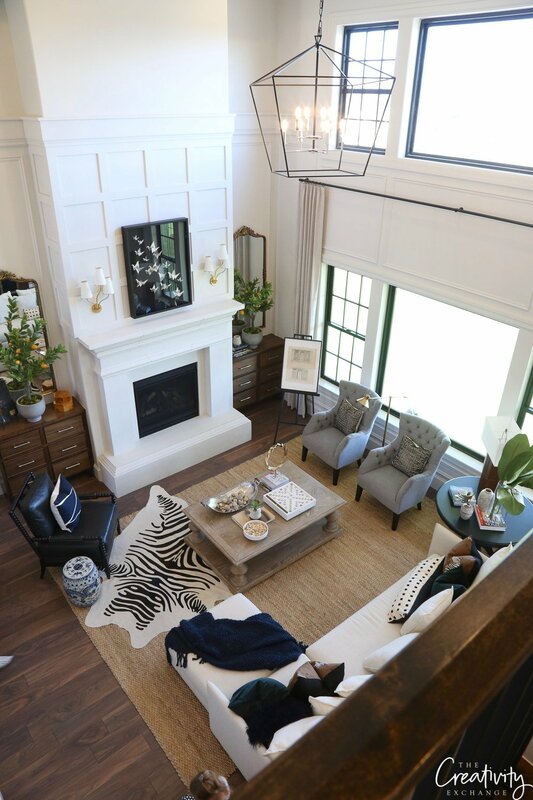 The living room/great room was very open and the ceilings had to be a minimum of 30 feet high. 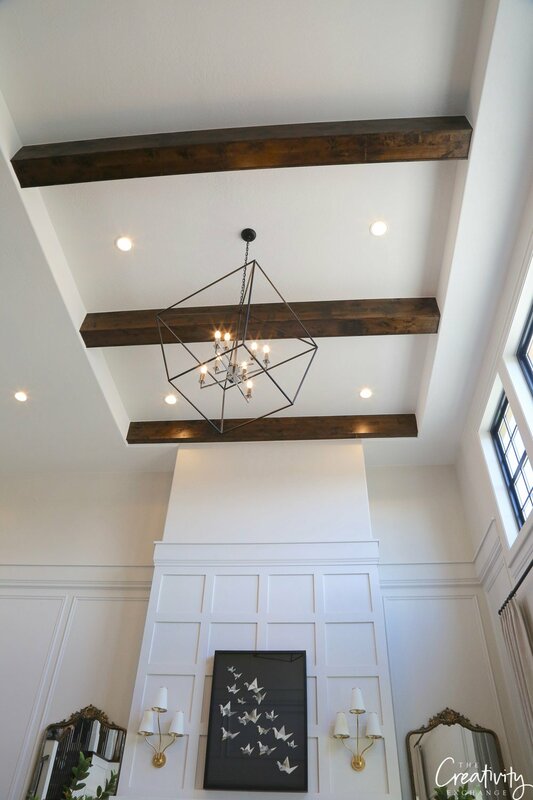 The beautiful beams at the ceiling were the perfect touch. 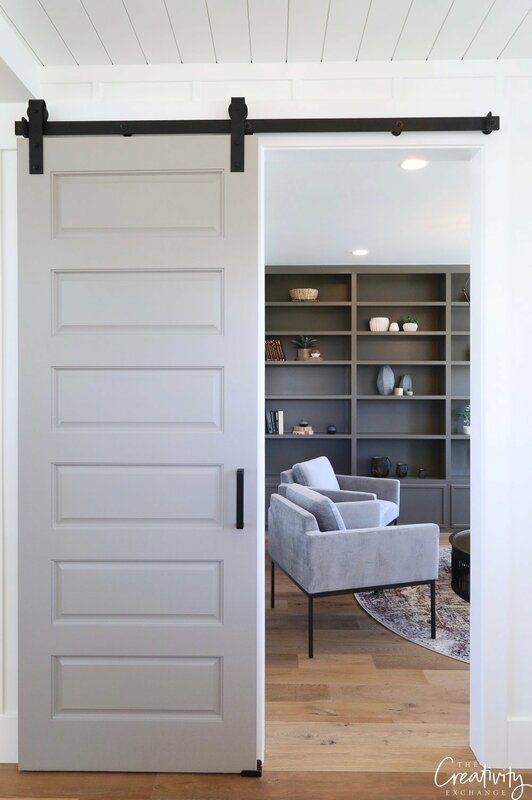 This is a great way to keep a space with large open ceiling still cozy. 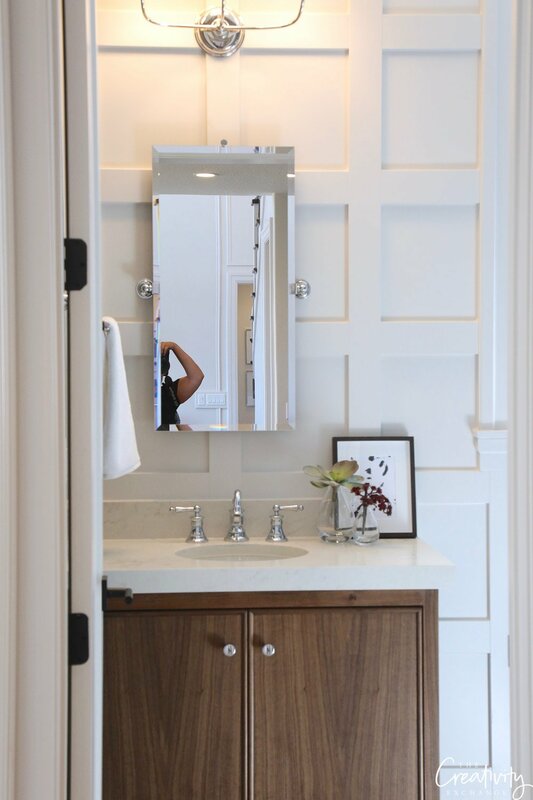 I thought this small powder room off of the living room was one of the smartest ideas I saw out of all the homes in the tour. 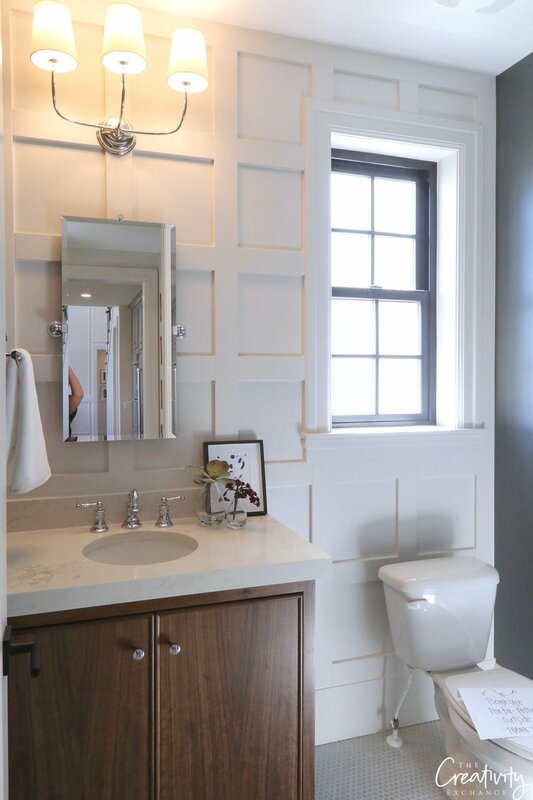 The light colored grid trim work on the main accent wall made the powder room seem a lot larger and the design gave the space depth and just the right amount of interest/drama. 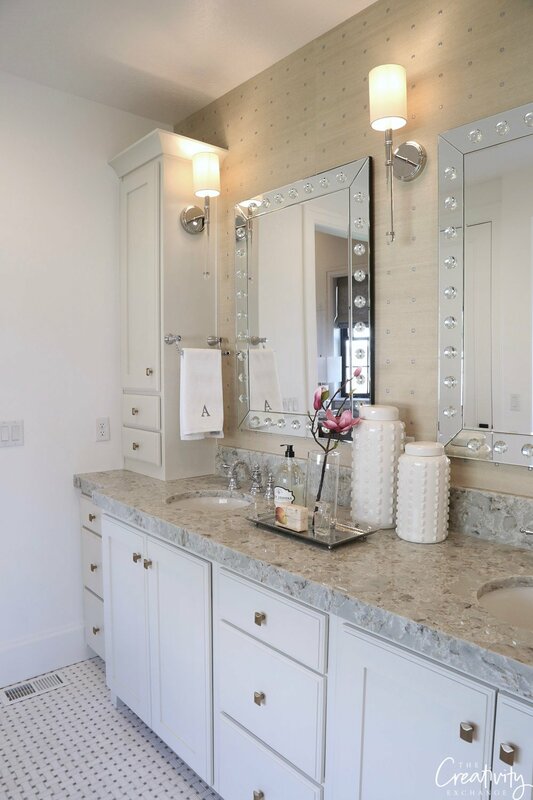 I couldn’t get pictures of the master bedroom (too many people in this house) but I did get some pictures of the master bath, which was also beautiful! 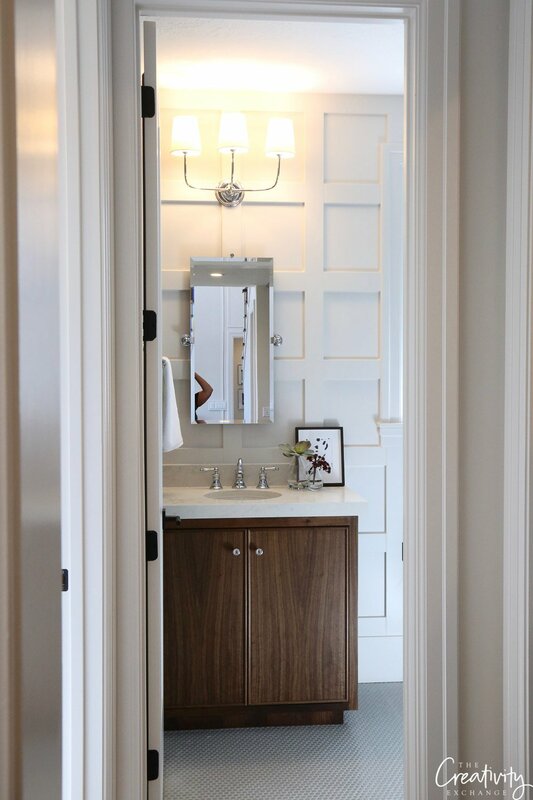 Notice the beautiful wall covering! I know this grasscloth, which is called Rivets by Phillip Jeffries. 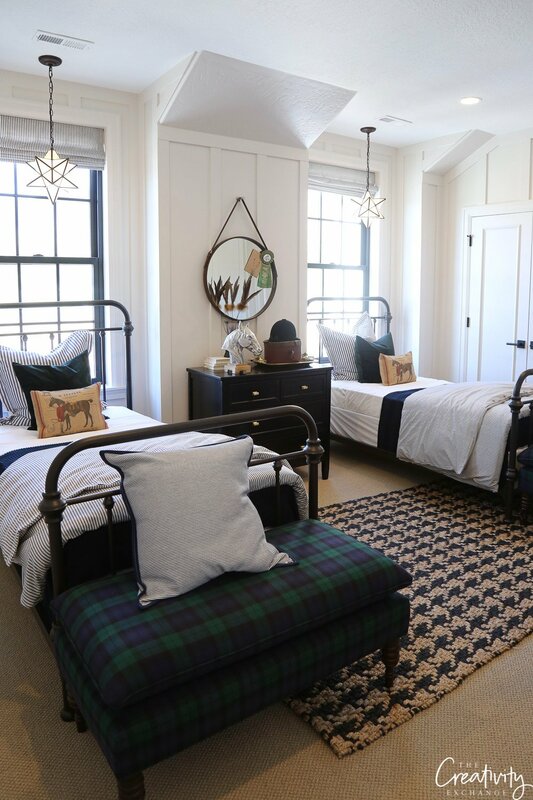 The upstairs kids twin room had a beautiful equestrian theme and was styled so beautifully! The upstairs bathroom was really fun. 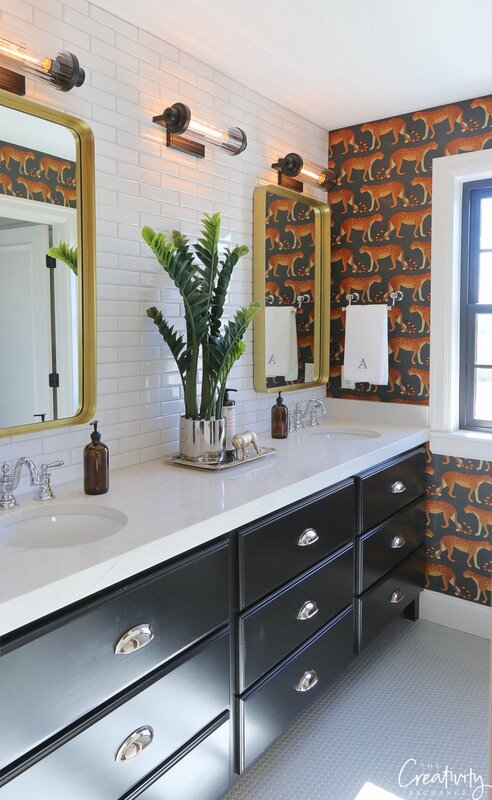 I loved the industrial lights, wallpaper and black painted vanity. 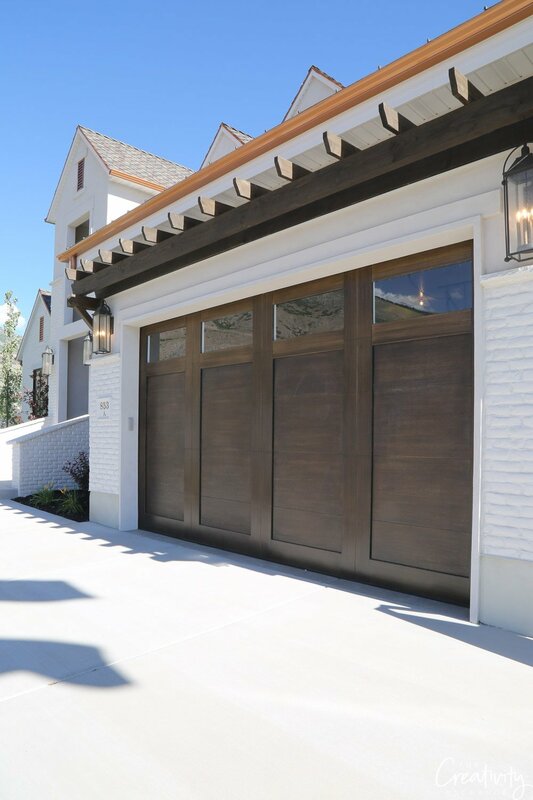 The exterior of this home was absolutely incredible! 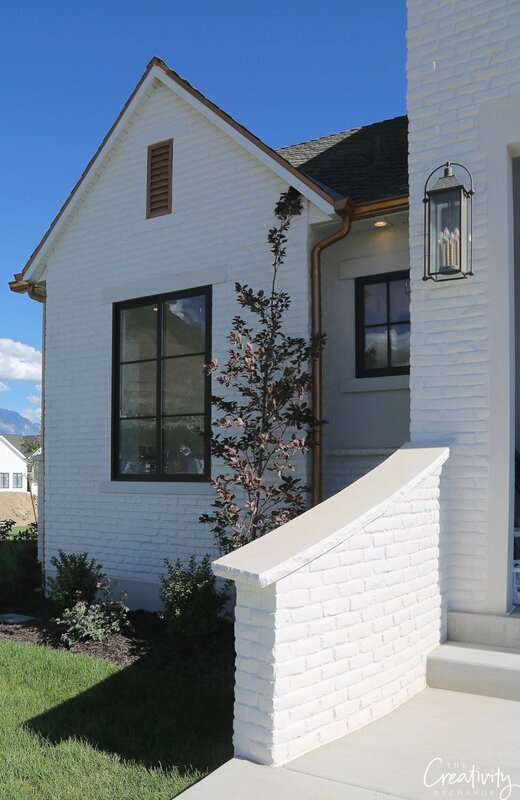 What’s interesting is that this home is a painted off white brick and all the gutters, vents and accents are copper! I was surprised how much I liked the copper. What do you think? Again, the home I just showed you was built by Arive Homes and if you want to see more of their projects and homes, you can find their website here. 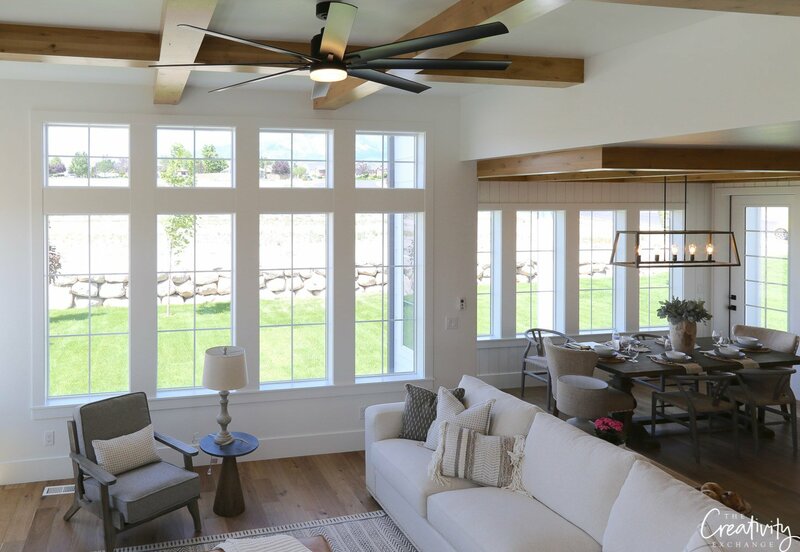 The next home that I toured was the Millhaven Homes (Select Home), which was the semi-custom I mentioned that I would be sharing on last week’s post. 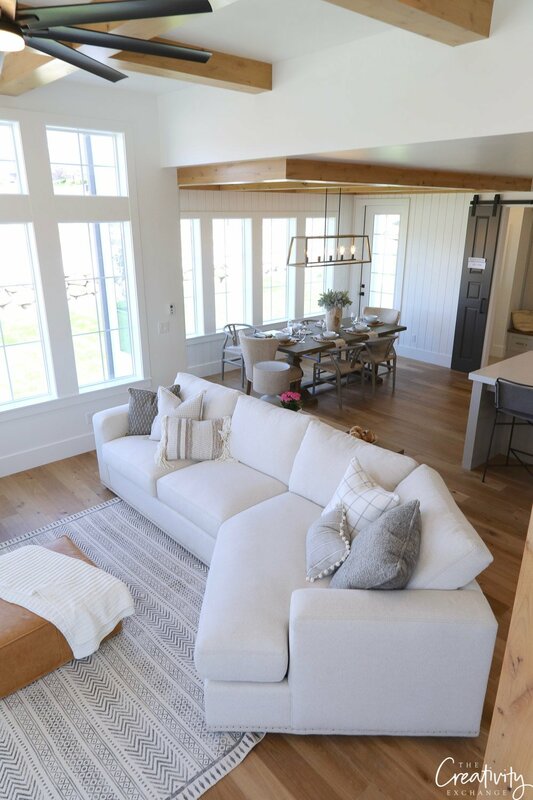 For those of you who missed it, I featured Millhaven’s beautiful custom modern farmhouse last week here. Of course, the Millhaven Select was pretty amazing as well! 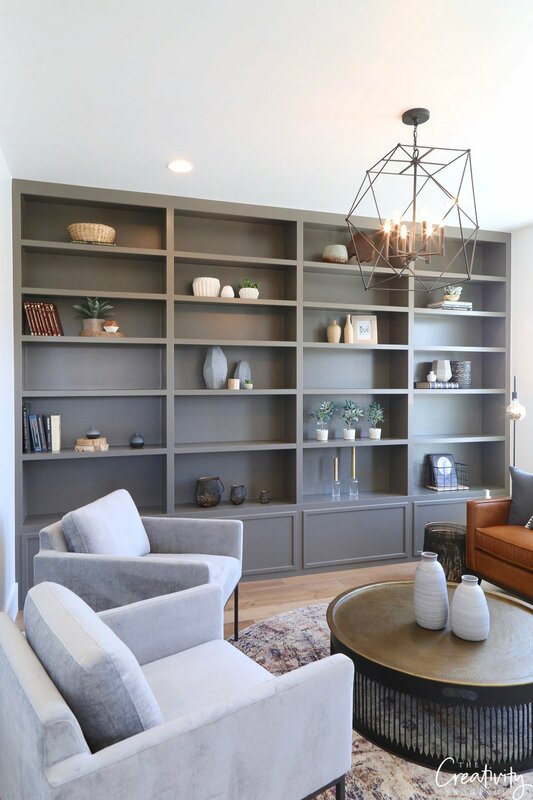 This sitting area/office was to the right of the entry and the floor-to-ceiling bookshelves are amazing! The paint color is Sherwin Williams Porpoise. 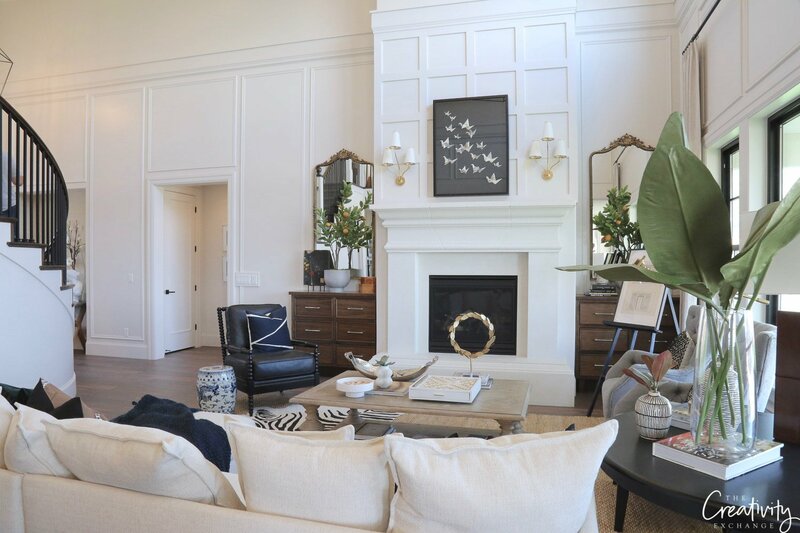 This home also has a beautiful open floor plan that I really liked. 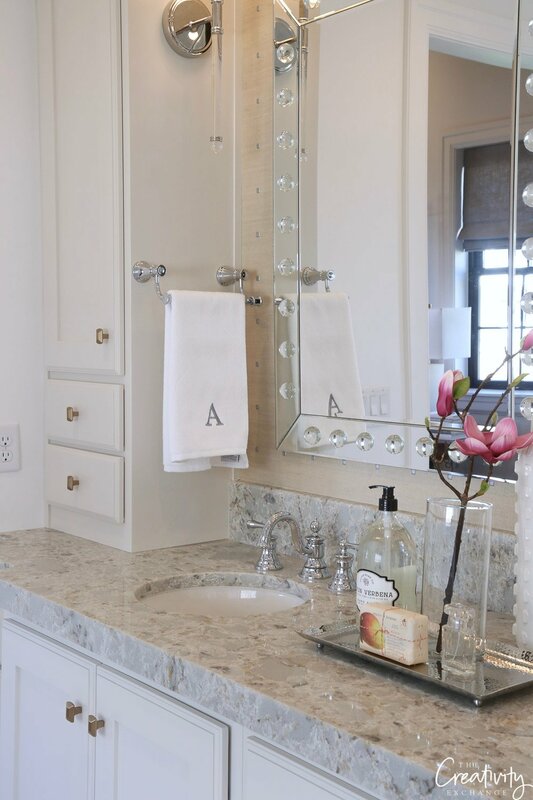 Very well designed and thought out! 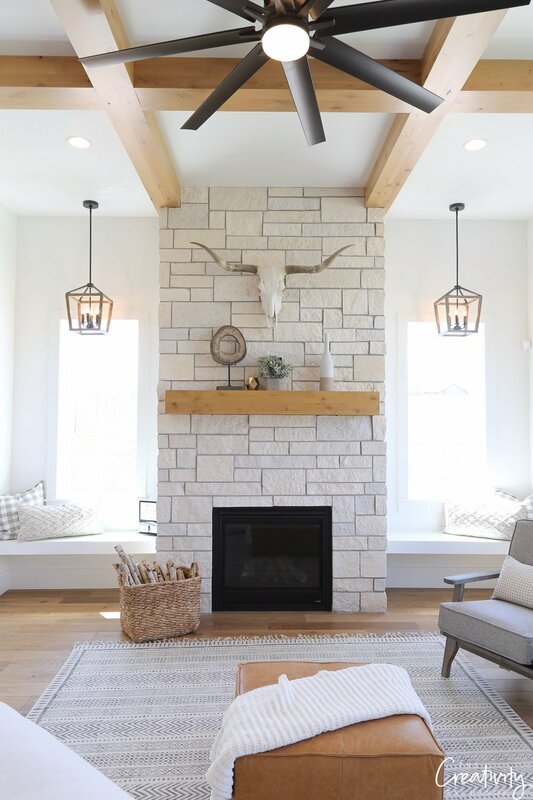 It was not a surprise to me that the Millhaven Select semi-custom home was loaded with so many great details and touches like the limestone fireplace in the great room and the natural wood beams on the ceiling. 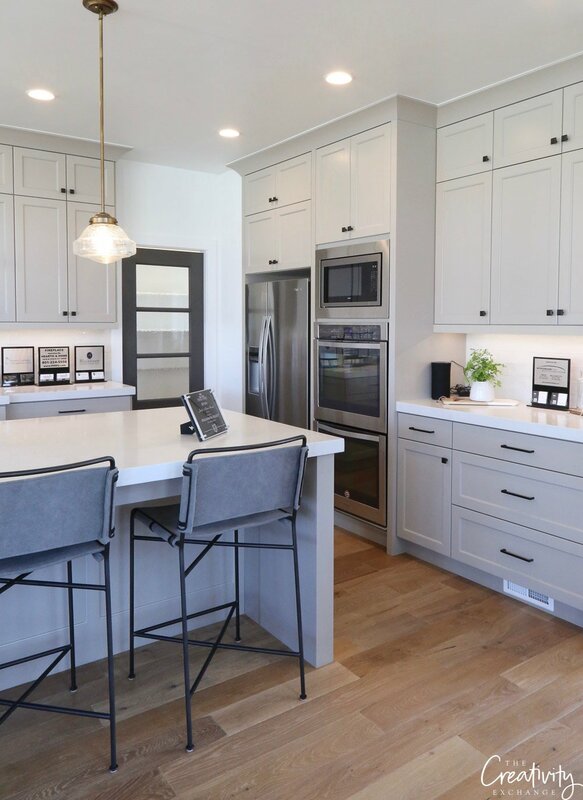 The kitchen was one of my favorite kitchens on the tour and I loved the mix of Benjamin Moore Fieldstone on the cabinets and Sherwin Williams Urbane Bronze on the sliding door and pantry door. Beautiful color mix! 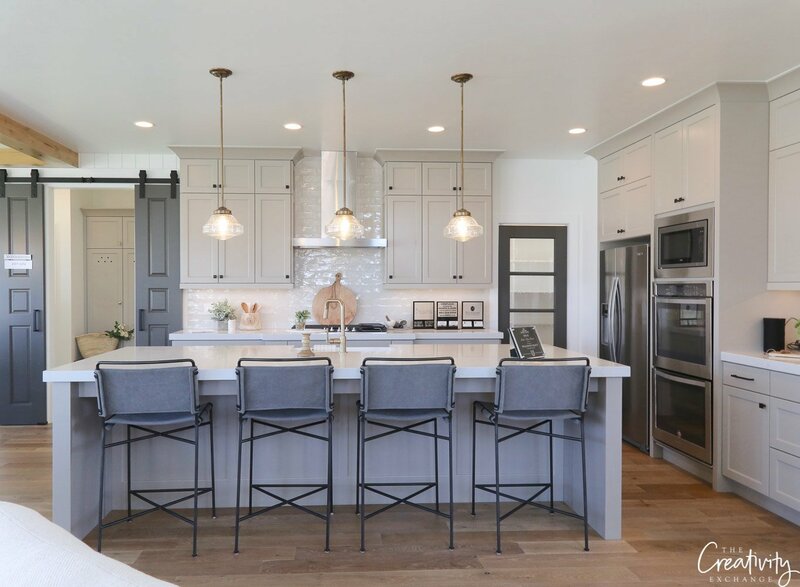 The kitchen layout is so well designed and the large island is the perfect gathering spot. The upstairs of this home had 3-4 bedrooms and a lot of open loft type space. 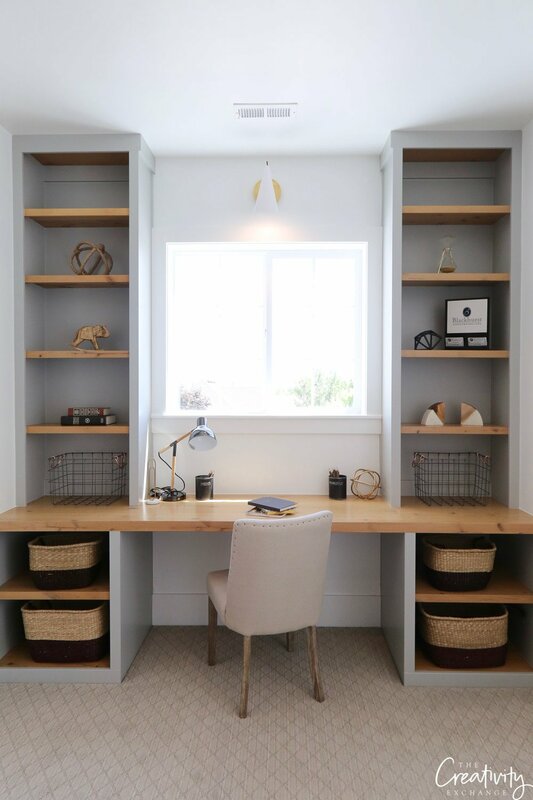 One area at the top of the landing had a large open homework/study station. 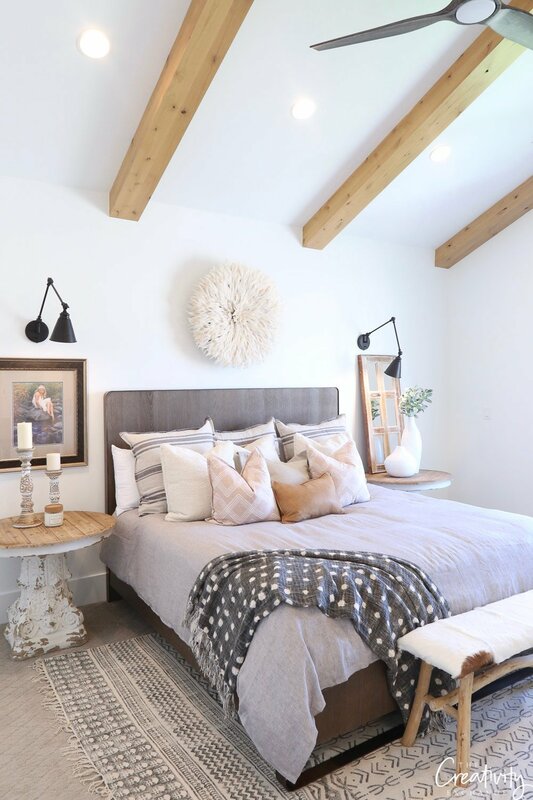 The master bedroom was spacious and beautiful with a vaulted ceiling and natural wood beams. 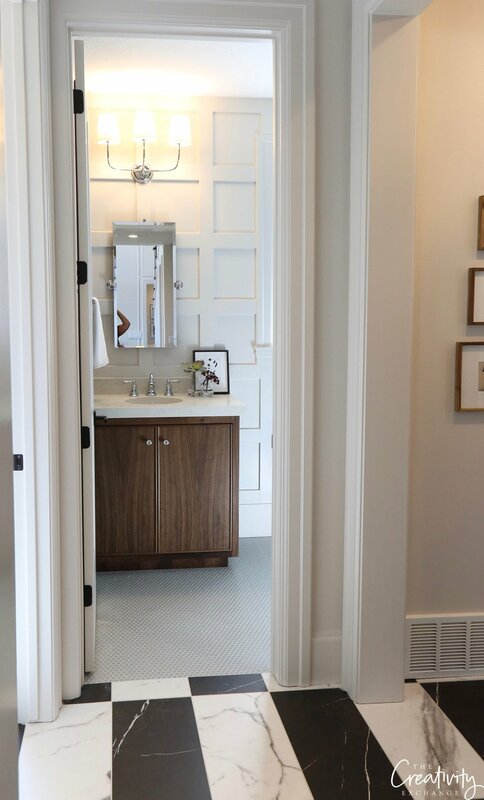 The master bath was also very large and well designed. 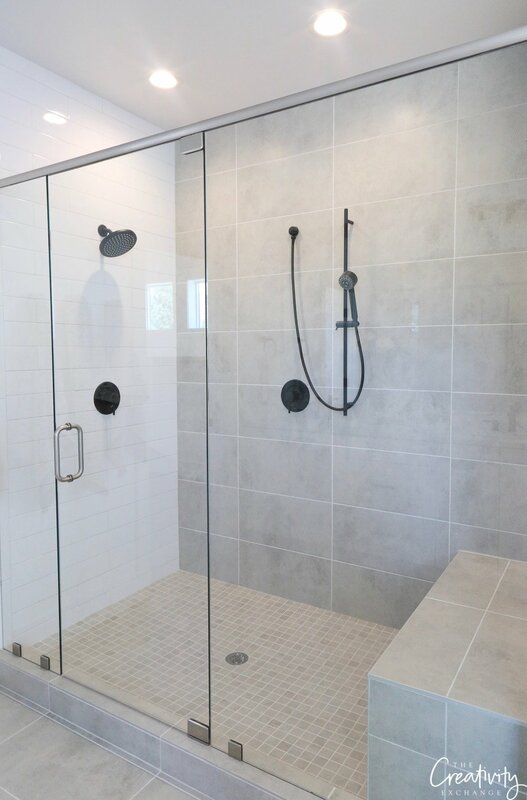 I loved the huge shower. 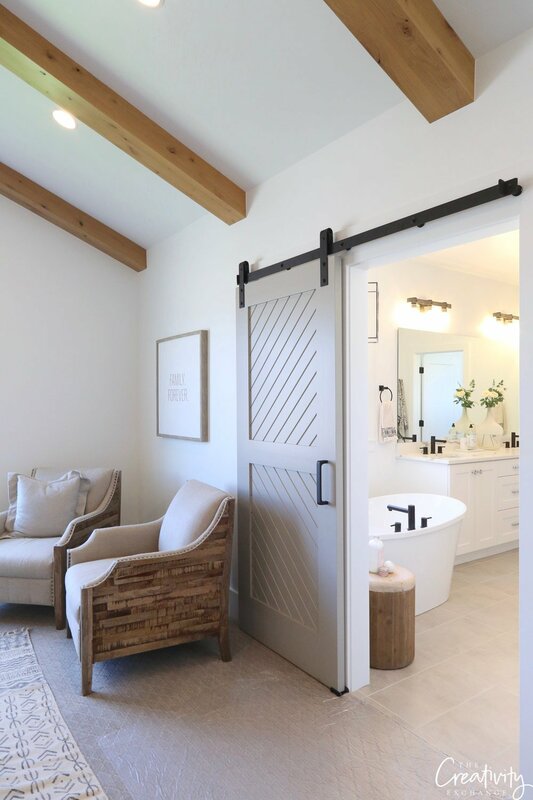 The sliding barn door paint color is Sherwin Williams Dorian Gray. 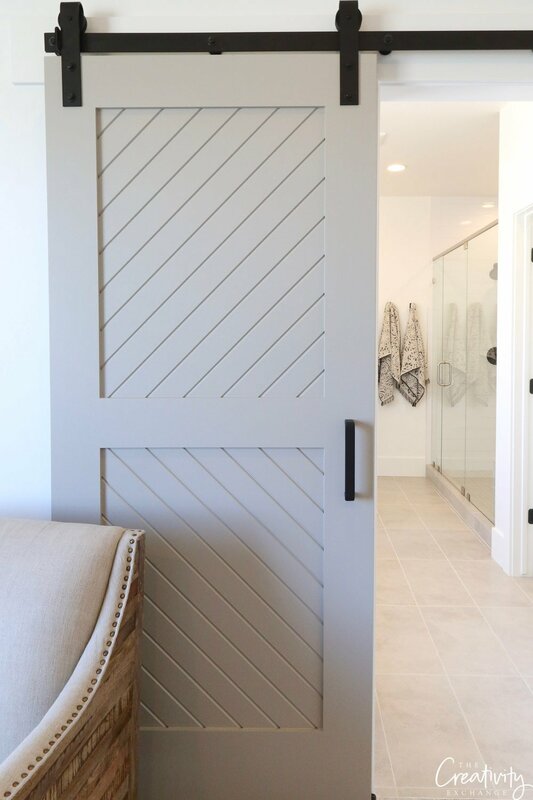 One of my favorite paint colors! 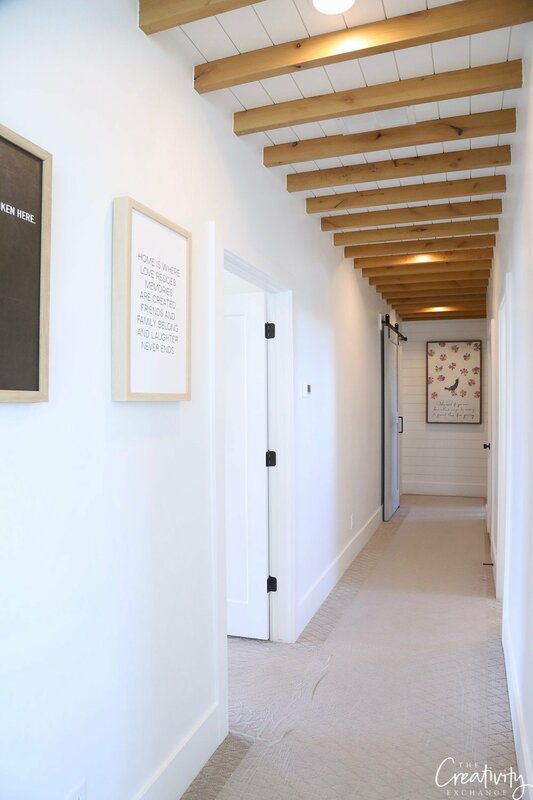 I really LOVED the way Millhaven made a long narrow hallway beautiful by adding shiplap and natural wood beams on the ceiling. This was such a smart idea to make a beautiful statement. 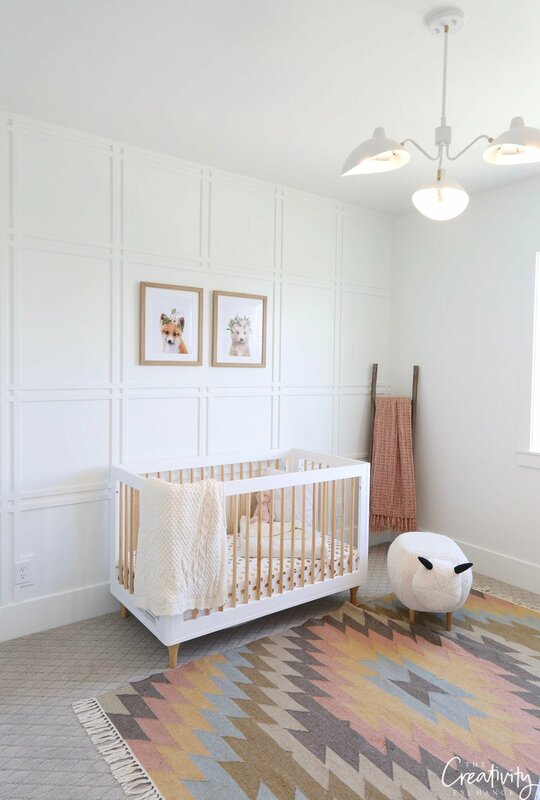 Lastly, this home had the sweetest nursery with a beautiful grid style wall treatment that I loved. 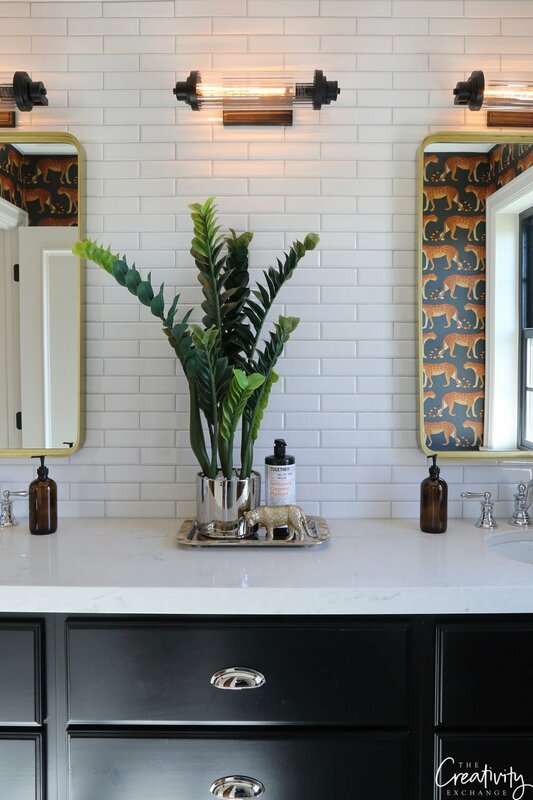 Again, we saw a similar wall treatment in the powder room of the Arive home and it’s such a beautiful way to dress up basic white walls. 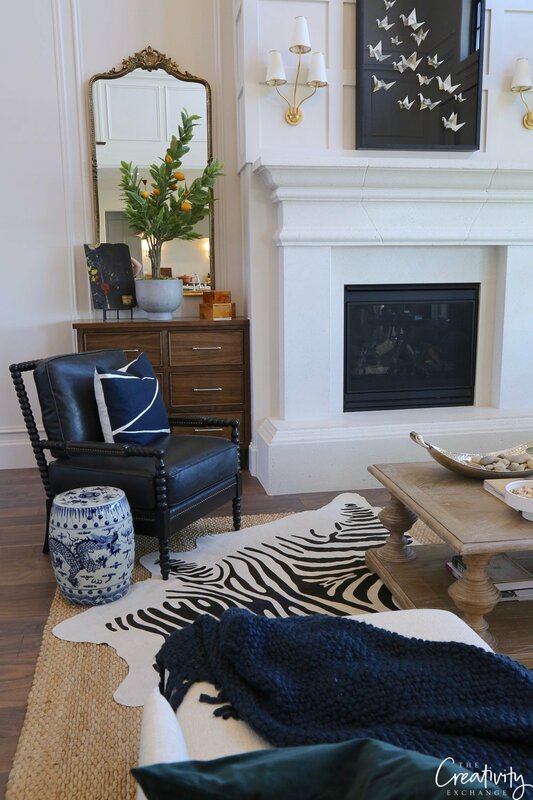 I really loved the Millhaven Select home and everything that Millhaven is doing. 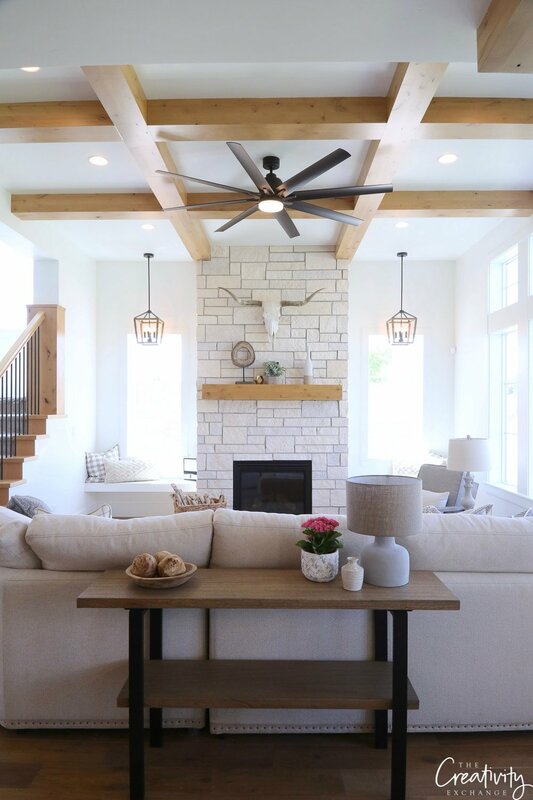 If you missed seeing their custom Fox Hollow modern farmhouse that I featured last week, you can see it here. 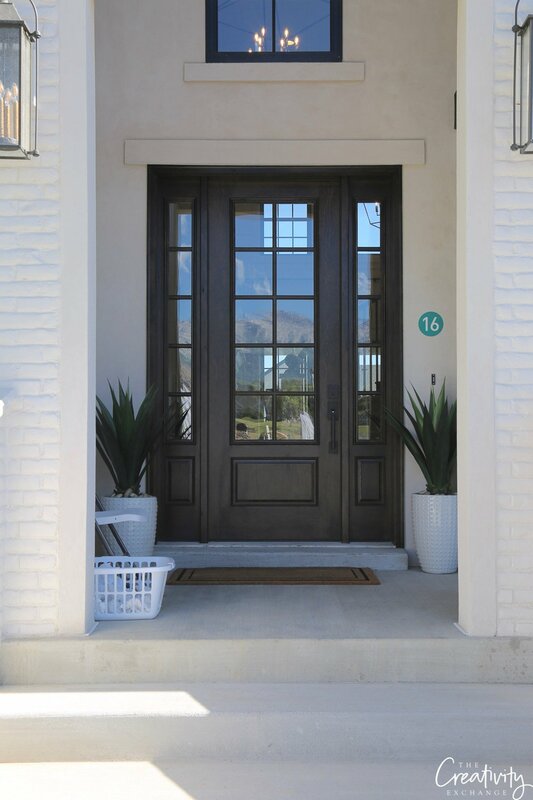 Also, if you didn’t get the chance to see “Part 1” of the Utah Valley Parade of Homes recap. you can find that here. What is the floor in the 2nd home??? Love everything!! I would like to know about the wood floors in the Milhaven house also… who makes them & did they use them in the kitchen? Thanks for sharing! 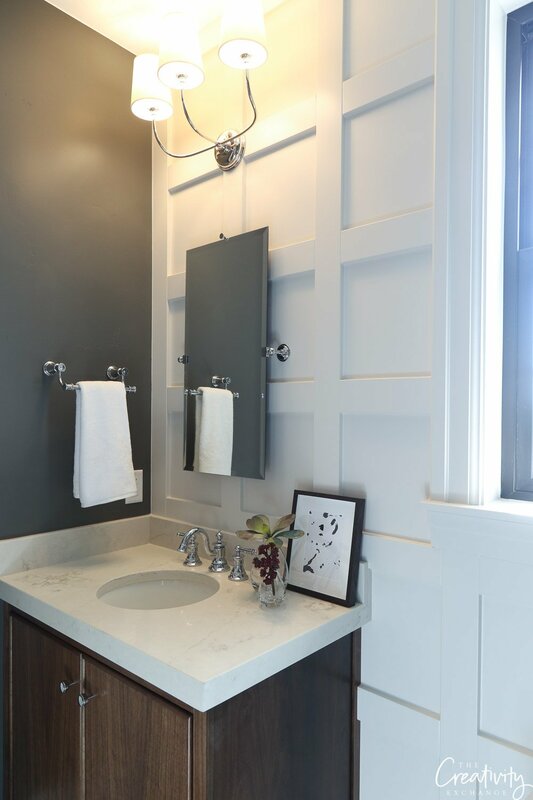 Do you know the name of the kitchen backsplash tile? Thanks for sharing the inspiring pictures! hi–do you have any idea where the counter stools in the kitchen are from in the Millhaven home? 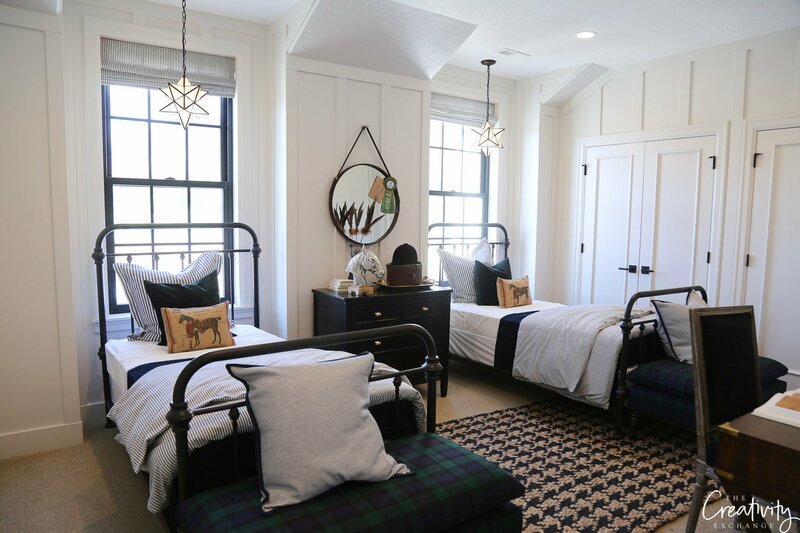 I’ve been wanting to do a board and batten look in my bedroom and the first farmhouse look was right on til I saw the nursery in the Milhaven home. Looks to intricate to do myself but I’d be willing to pay to get that look. 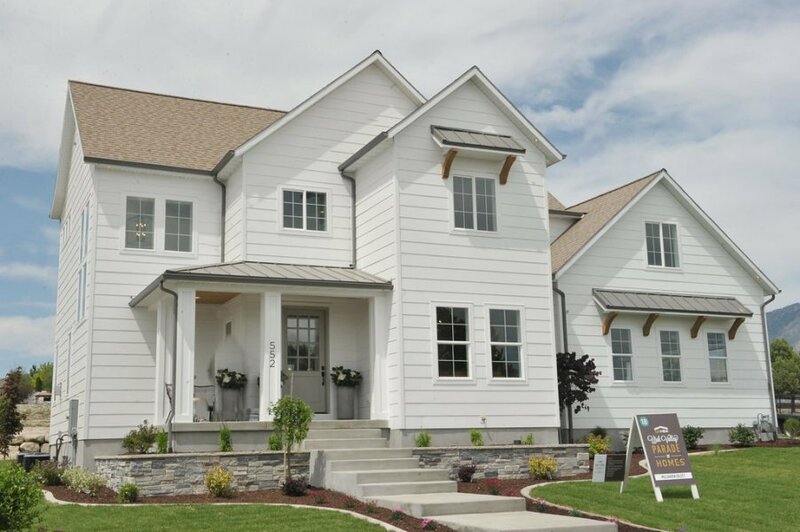 Thank you for sharing these beautiful homes. Hi Cyndy! 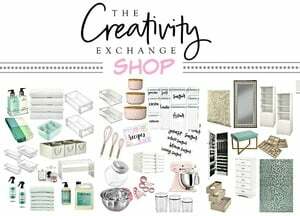 I’m new to your blog and love the look and content! I especially enjoyed the parade home recaps. 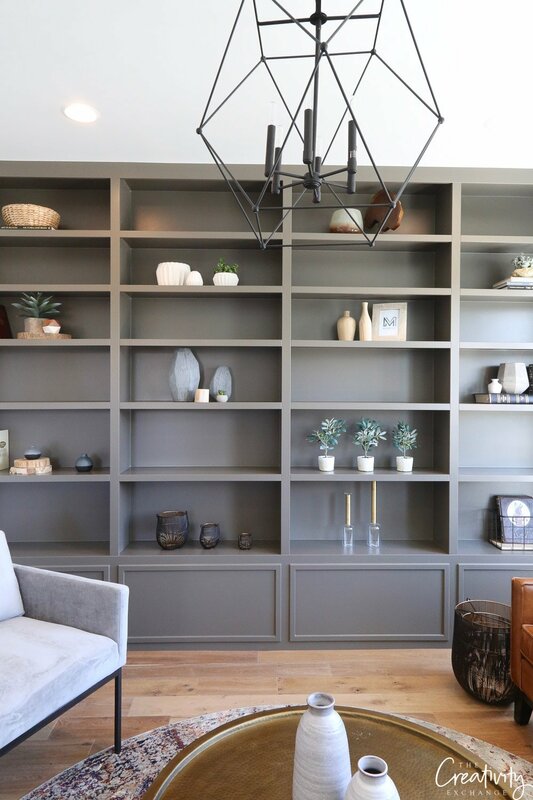 The Arive home was amazing—I’m hoping that you’ll add a credit to the incredible Brandalyn at https://www.brandalyndesigns.com/ for her design work on that home. It was absolutely stunning! Thanks for your quick reply! ? 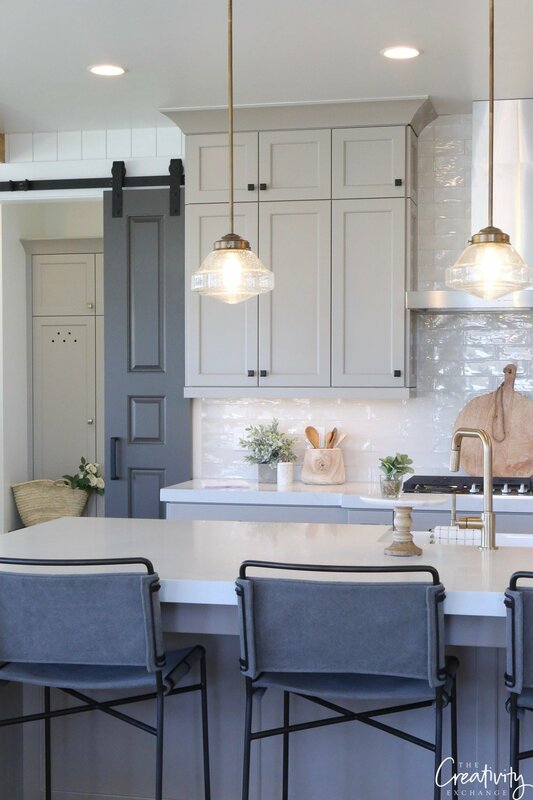 any idea where the blue kitchen barstools are from in the millhaven house? 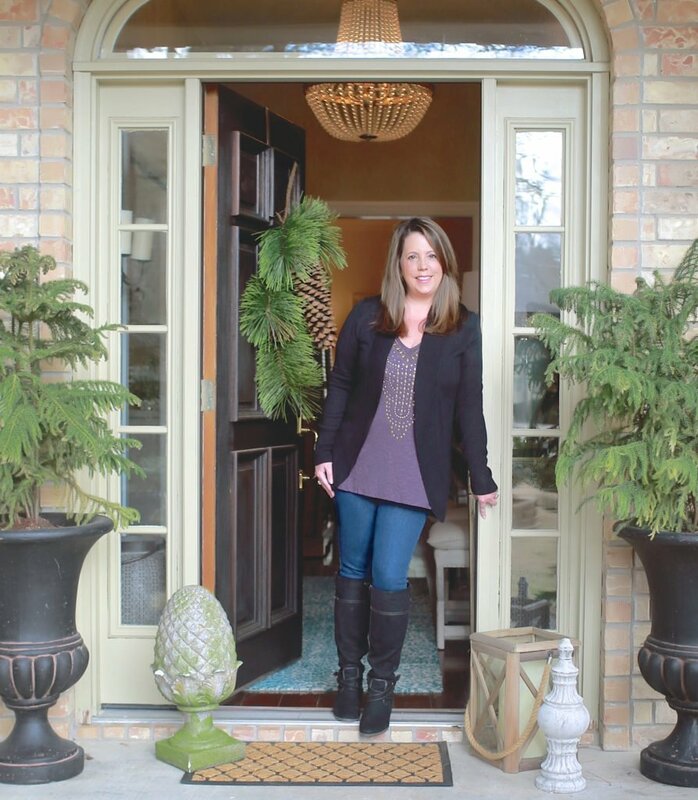 Cyndy- Thank you so much for the shout-out on your parade home recap! So glad you loved so many of the details. Such a great blog you’ve put together. Hi Cyndy! 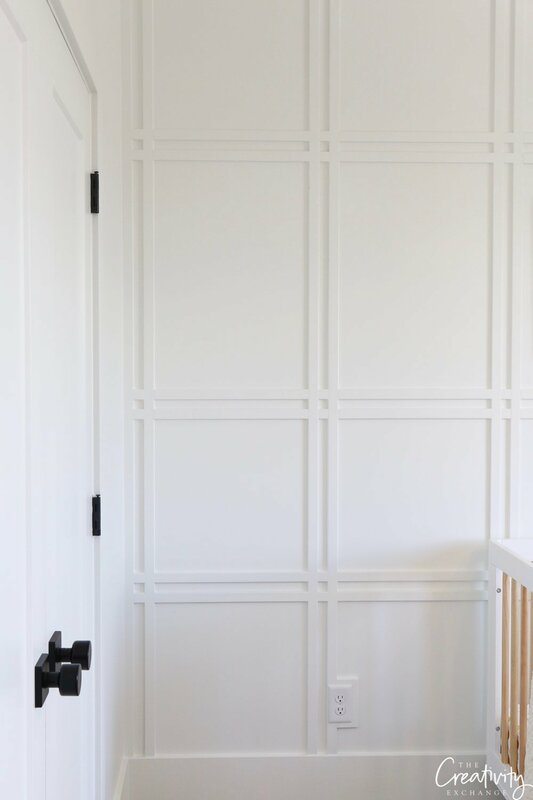 What is the name of the white paint? Any idea where the rug in the kids bedroom is from? 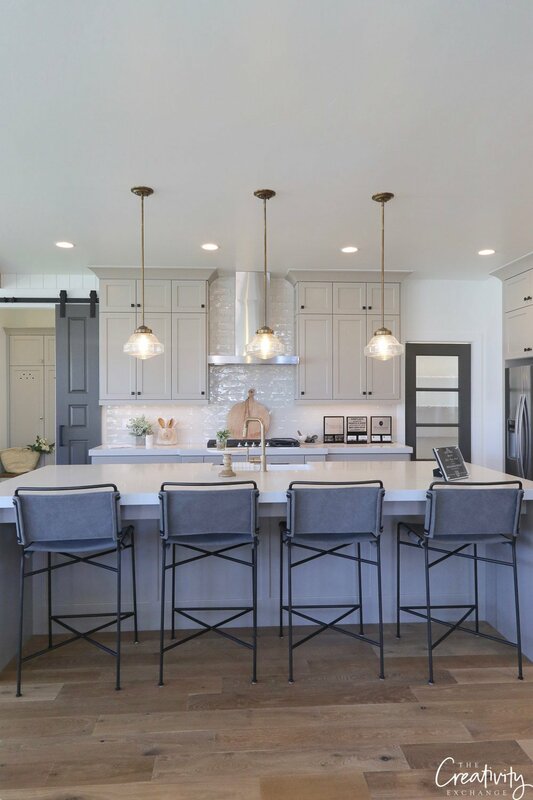 I would love the source of the blue counter stools. This house is beautiful! Can you give the manufacturer of the sofa at the Millhaven house?